BT Sport has confirmed it will retain exclusive rights to show the Vanarama National League until 2021. BT has been broadcasting live and exclusive coverage of English football’s fifth tier since the launch of BT Sport in August 2013. The new deal will see typically one match broadcast live each match-week, normally in a regular Saturday slot. 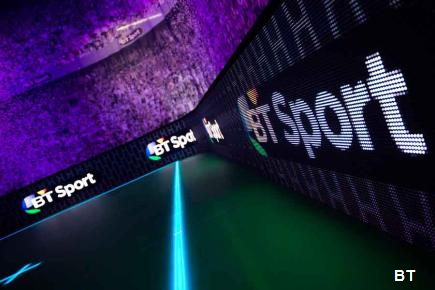 Each season, BT Sport’s coverage will follow the championship race and the exciting end-of-season playoffs at Wembley through which one team gains a second promotion place into the English Football League. Additionally, the deal sees the continuation of an innovative tie-up between league and broadcast partner - first launched in 2016 - through which media students from around the country receive broadcast production training from BT and go on to help create BT Sport’s weekly Sunday night National League highlights show. BT Sport’s live Vanarama National League match coverage is led by presenters Matt Smith and James Richardson with commentators Adam Summerton and Adam Virgo.